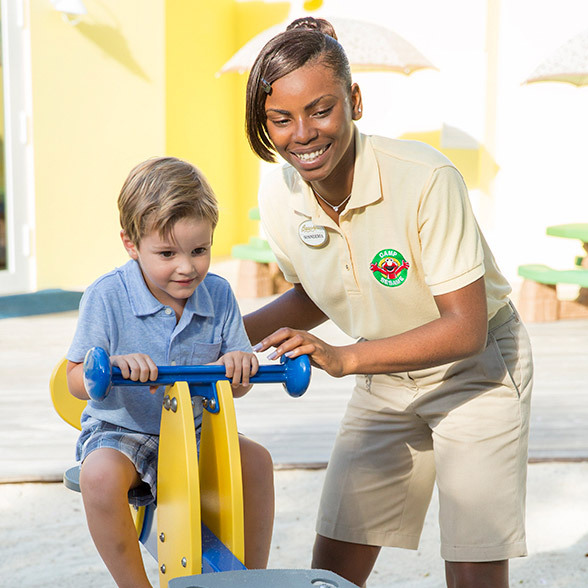 While you play at our all-inclusive family resorts in the Caribbean, we take care of your babies & toddlers with nannies certified in accordance with an accredited U.S. university. Our nurseries are sparkling wonderlands full of toys, cribs, and everything else needed to cradle tiny tots in comfort. Your kids are always in good company with their world-famous "best friends" from Sesame Street®. And come evening, we have even more in store for them with Sesame Street parades, nightly stage shows, and more. We take care of everything, including your kids, with fully equipped facilities and programmes supervised by our highly-trained caregivers. It’s a colourful cast of characters with Elmo, Cookie Monster, Grover, Big Bird, Zoe, Bert and Ernie, Abby Cadabby, The Count, Oscar the Grouch and Julia.